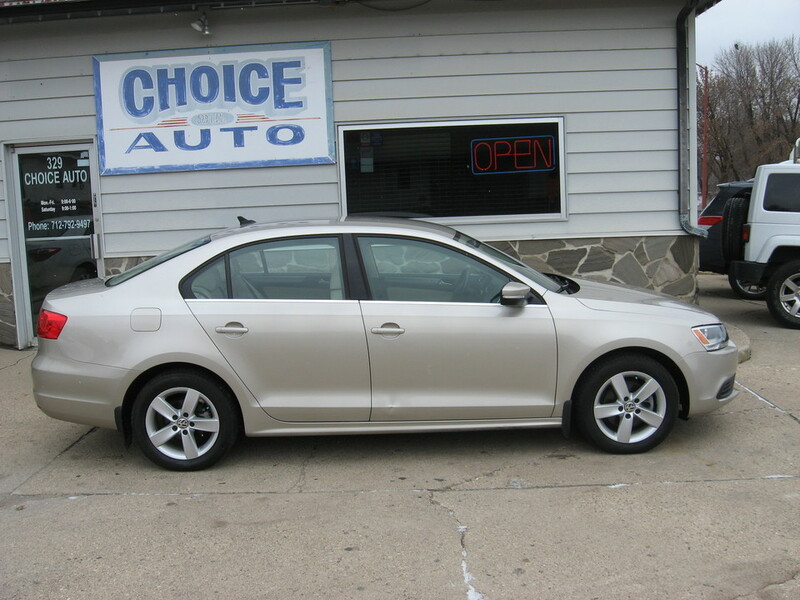 Check out the low miles on this 2013 Jetta TDI * With the long lasting diesel engine, this car is rated at 42 MPG highway * Keyless entry * Hands free phone * AM/FM/SAT * Premium heated leather seats * Runs great * Just a super nice, long lasting, smooth running sedan! At Choice Auto all our vehicles are inspected and if repairs are needed they are done to bring it up to our high standards. We promise no pressure selling and with the lowest overhead in the industry we are able to offer the best quality vehicle at the lowest possible prices. We are always looking for good trade-in's and offer Low rate financing * Carfax Reports * Service Contracts * GAP Insurance For more information on this vehicle and many more you can go to our website www.choiceauto.biz or call Rock (712) 210-4414 (Cell) or (712) 792-9497 (Office). THANKS FOR LOOKING! !